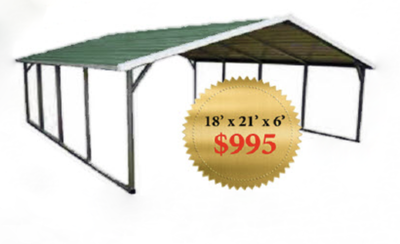 We offer a complete and total line of top quality carports, metal buildings and RV carports which are consistently built to hold up against all of the extreme weather conditions that the carport, steel building or RV cover would face. If you’re going to go with carports that are made in the United States, we are positively your best choice! Many individuals wonder how they can save their vehicles from the elements at a cost effective rate, and going with a metal carport or metal building can be the best option available. Steel carports come in a wide range of designs and shapes, and you can choose whatever size that you might require for your specific scenario. Metal buildings save you cash because steel tends to be longer lasting than wood, and professional installation is included in the price. Installation time is also quite fast, compared to other available options. 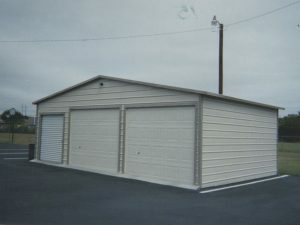 Why choose Sheds & Carports to purchase your metal building or carports? There are a multitude of options that you can pick from to get the exact structure that you need. Our experts will make sure that you have the perfect metal building for your needs and that any pre-construction site preparation is done properly. If you’re pouring a concrete pad or footer, there are some very important things to consider in your dimensional layout. We’ll guide you so that you understand exactly what is required. If needed, we can provide the concrete pad or footers to ensure that it’s done precisely. We’re located in Central Texas and serve areas from San Antonio, Corpus Christi, Austin, Temple, Waco and more. You can be confident because we’ve provided thousands of businesses and homeowners, super strong carports, RV covers, metal barns and metal buildings for over 20 yrs. We provide a complete and comprehensive line of top quality metal carports, metal buildings and metal barns which are built to stand up to extreme weather, heat, cold and external tensions from high winds. Not only are these made in the U.S.A., but any carports that are made in other nations, have the tendency to be of a much lower quality. If you want top quality, the best installers, and top notch customer service, your only choice is Sheds & Carports! If you have actually been looking for ways to secure your valued belongings, protect your automobile from the vagaries of bad weather conditions or extreme sunshine, then making use of metal carports is simply best choice. 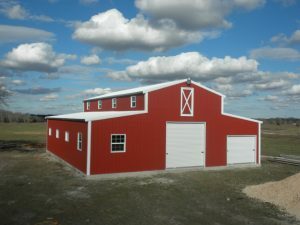 Nothing is more budget friendly or as customizable as one of our metal buildings. For most individuals, their cars, trucks and RV’s are their most valued belongings that they acquire, after their house. There in they wish to make twice as sure that they safe guard it from scratches, rust, and direct exposure to sunshine, rain or snow. Now, you may question how a traditional garage compares with steel buildings and steel carports. Garages are not just incredibly costly to build, but they are 100% permanent structures, and for this reason they cannot be moved. On the other hand with making use of a steel carport, metal RV covers or metal barns, you can actually move an entire structure without too much hassle. Did you know that you can have a steel carport, metal RV cover or metal building tailor made to match your particular requirements? Also, items like RV covers and carports are anchored to the ground for extreme stability, which is exceptionally helpful if you live in a windy area. There are Metal carports and RV covers that are Do It Yourself friendly, if you prefer to tackle the installation yourself. Some structures including RV covers are available with a partial metal wall, if you desire to have improved security and protection for your vehicle. This works very well as a sheath to protect your vehicle. 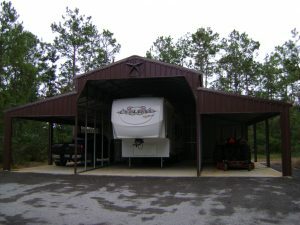 Metal RV carports are the most feasible of choices when you are thinking about avoiding the high cost of a full-fledged garage, but wish to keep your automobile or RV covered. All of our products are exceptionally resilient as they are made from the very best metal and steel that is durable and attractive. They are likewise expandable and this makes them quite versatile to your requirements. Then you can have a Metal RV carport and later, add more storage area, or enclosed area if in the future you require more space for an additional vehicle. The advantages that Metal RV Covers bring the user they have quite an appeal and are rather typical and preferred, all over the nation. They are most definitely the most inexpensive of protective alternatives for your cars, trucks and RV covers. Steel carport sets come in a wide range of designs and shapes, you can likewise have your steel carport set personalized to whatever size and measurement that you feel you might require for your specific circumstance. Going with this specific kind of structure not only conserves cash, but steel tends to be much more longer-lasting and resilient then a wood carport or an aluminum carport. 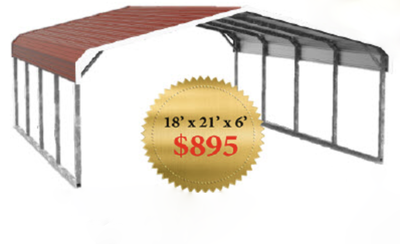 You can get your steel carport made in any color that you desire, you can also get galvanized steel. Galvanized steel is basically a finishing on top of strengthened steel which enables your carport metal building to withstand the numerous climate conditions that it will undoubtedly handle. A few of the conditions that it might need to and will properly endure, our heavy rains, snowfall, damaging winds, and debilitating frost along with lots of other kinds of weather. Since today’s baked on paints are so incredibly durable, very few people would choose the somewhat ugly appearance of this type of product. Our metal carports, Rv Covers and metal buildings are among the very best options that you have if you’re going be acquiring any kind of metal building to protect your valuable financial investments. Metal carports are thought about as one of the finest choices that you can make because they are very long lasting, they can endure extreme weather conditions as well as last much longer than a wood carport or even a brick carport. Sheds & Carports’s manufacturer is widely renowned for being among the very best carport makers and resellers both in the retail sector and also on the Web with our easy to navigate site to assist you with all your requirements. 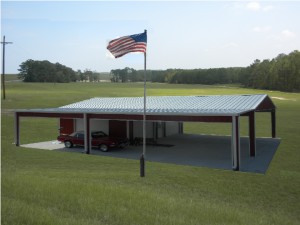 Our metal carports are some of the finest in the world, because these carports, metal buildings and RV carports are made in America, by Texan’s! Not in another nation like China, where they utilized substandard quality parts and have really bad working conditions, which you would likely not want to support. We should also be at the top of your list because we simply have the item, the history, and the client service to back up our top level reputation. Metal carports are known for having an incredibly long life time, and typically outlasting their owners. Going with Sheds & Carports is an excellent choice if you’re going be acquiring any type of metal carports, RV Covers and Metal Buildings to keep your valuable financial investments like your cars and trucks, RV and sport, or other types of vehicles protected. Metal carports are thought about one of the finest alternatives that you can go with since the realization that they are exceptionally long lasting, they can hold up against an extremely severe weather conditions as well as last much longer than a wood carport or a brick carport. 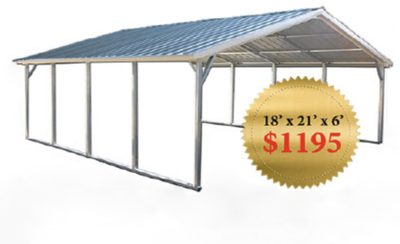 Sheds & Carports metal carports are some of the finest made anywhere in the world, this is due to the fact that these carports are made in the United States. 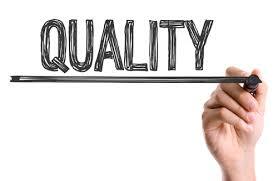 As for China or some other nation where they utilized substandard quality parts and have extremely bad working conditions, which you no doubt would likely not support to start with. There are simply a lot of options to select from when it pertains to exactly what type of metal building company you want to choose, however I think your finest option is to choose Sheds & Carports. 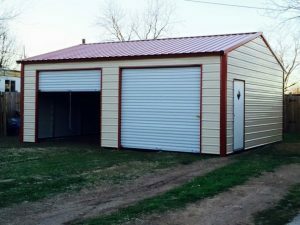 I believe based upon the customer support track record in addition to the quality carport that is made, you ought to rely on us for all your metal buildings and carports requirements. This business has a long history of servicing their clients both online and off-line in their conventional production and selling settings. This is a wonderful business that has actually grown from a really small service producing quantity carports and metal structures to a truly big major company that utilizes well over 100 various staff members, and it’s this kind of development that you can come to rely on to be a reflection of the quality carports and metal structures that they produce and put together. We provide a complete and wonderful variety of quality and resilient steel structures together with a large range of numerous carports and other kinds of garages to keep your automobiles and devices. These lasting and exceptionally long lasting structures are made to endure any weather condition scenario whether it be snow, rain, sleet or high winds. 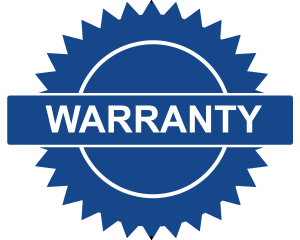 Sheds & Carports Inc. is among the most credible carport producers around and you can feel confident that we back up everything in addition to supplying outstanding customer care.